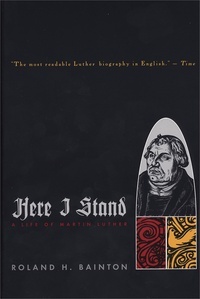 The authoritative, unforgettable biography of Martin Luther, the great religious leader, who entered a monastery as a youth and who, as a man, shattered the structure of the medieval church. Luther spoke out against the corrupt religious practices that then existed. His demand that the authority for doctrine and practice be Scriptures, rather than Popes or Councils, echoed around the world and ignited the Great Reformation. Accused of heresy and threatened with excommunication and death, Luther maintained his bold stand and refused to recant. In his crusade to eliminate religious abuses, he did more than any other man to establish the Protestant faith.